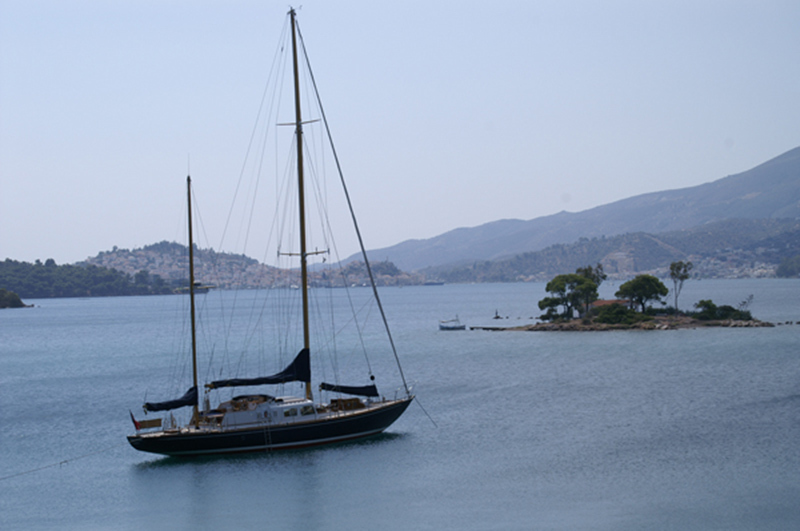 Comfortable and fast sailing yacht offers this. A new concept designed by the famous yacht designer Jack Laurent Giles in 1957 in Genoa. 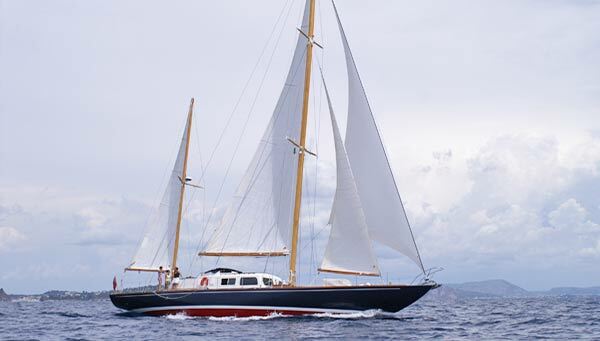 The "motor ship" was created, a mixture of a racing yacht hull shape with superb handling and a great engine, the ship quickly takes on windless days in the company of the powerful cutter ketch sail forward. Thanks to the excellent handling characteristics that can very easily lead Yacht Star Sapphire. It is out of the ever-present crew of two, which is enough time on the side, to look after the welfare of the guests and their needs. It left nothing to be desired. If you want, you will get an insight into the driving of such boat or sitting relaxed in the well protected cockpit. You can relish the exquisite food prepared by Silvia, one of Italian origin cook outdoors on the cockpit table or leaning back comfortably on the upper deck saloon taking. 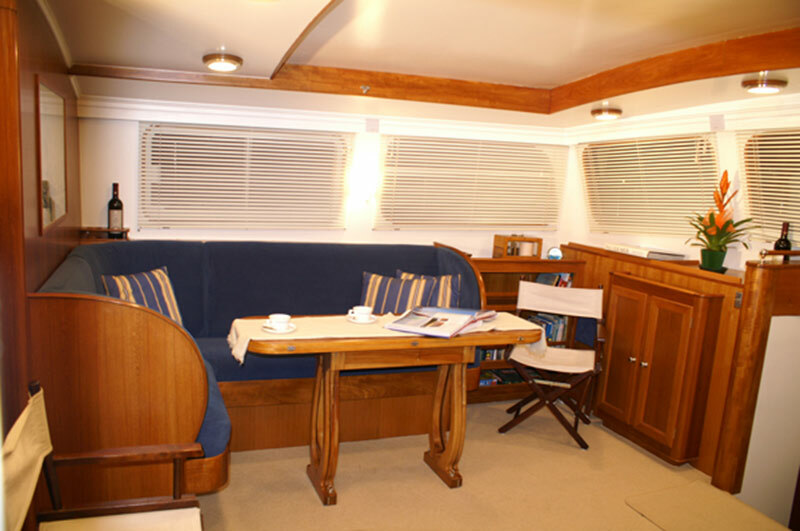 The deck saloon has an impressive panoramic view. Star Sapphire is owned and sailed for six years now of this team. A new concept of "motor ship", was launched in 1957. 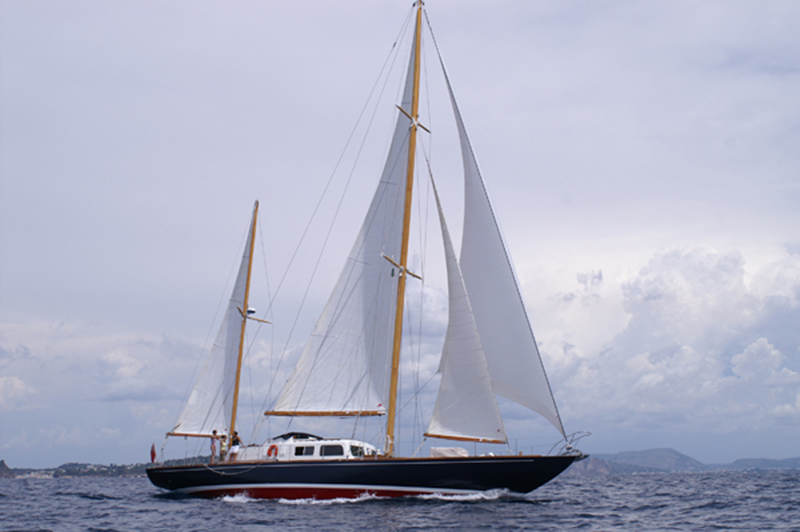 Star Sapphire was designed by Jack Laurent Giles and built in the Beltrami shipyard in Genoa for the future owner. The proud owner, the Molins family were impressed by the Star Sapphire so that it again four years later Jack Laurent Giles commissioned to design them another yacht, the Blue Leopard. Six years ago, was now the present owner, the yacht of his father again. It was for sale was in a very bad condition and an extensive refit was necessary. For 30 years it was owned by an old Italian gentleman. The refit began in France in La Ciotat, after a year of Star Sapphire Viareggio been to Italy / transferred from their current skipper to complete the restoration of another shipyard. Result of this strenuous and long-lasting boat restoration is the rebirth of a beautiful and comfortable yacht - the Star Sapphire. 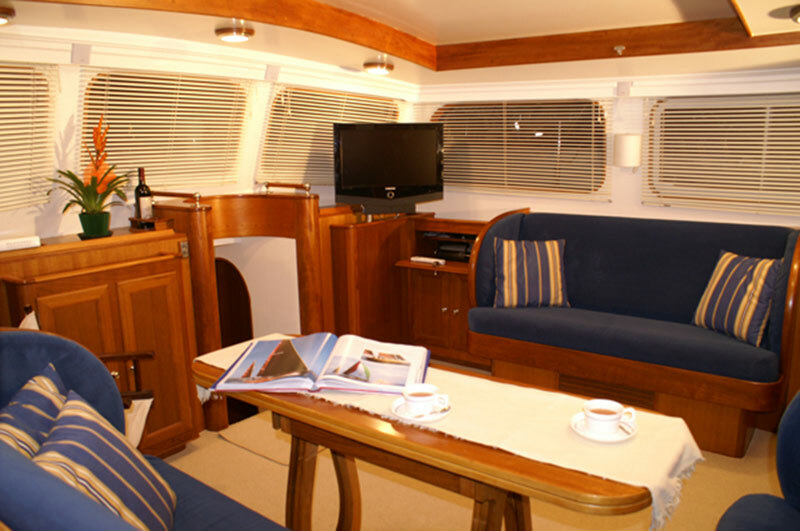 The Star Sapphire has a large aft cabin, this is equipped with a double bed and a single bed. Furthermore, guests have a bathroom available. 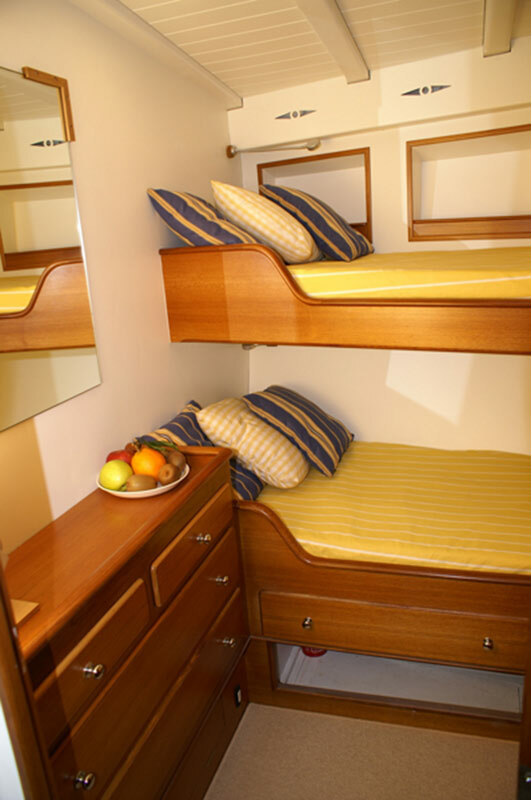 Before the big deck saloon are two guest cabins with 2 bunk beds and a bathroom. The Department is housed in another cabin in the bow. 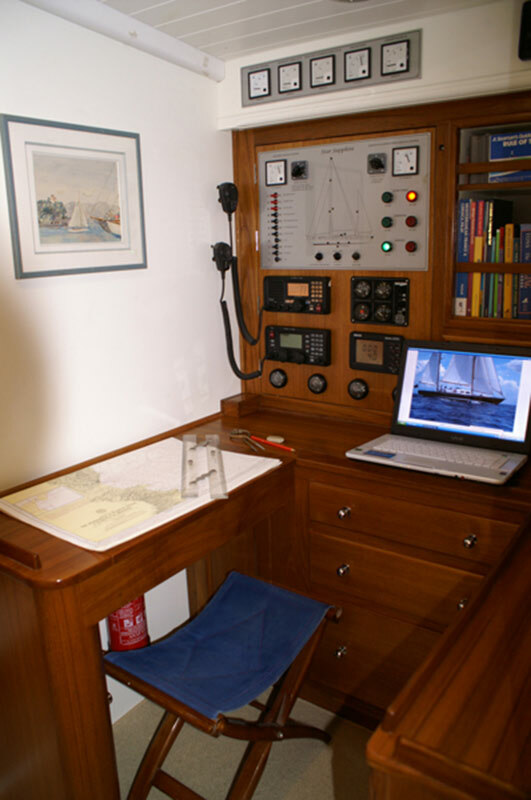 The yacht is equipped with all major navigation devices. 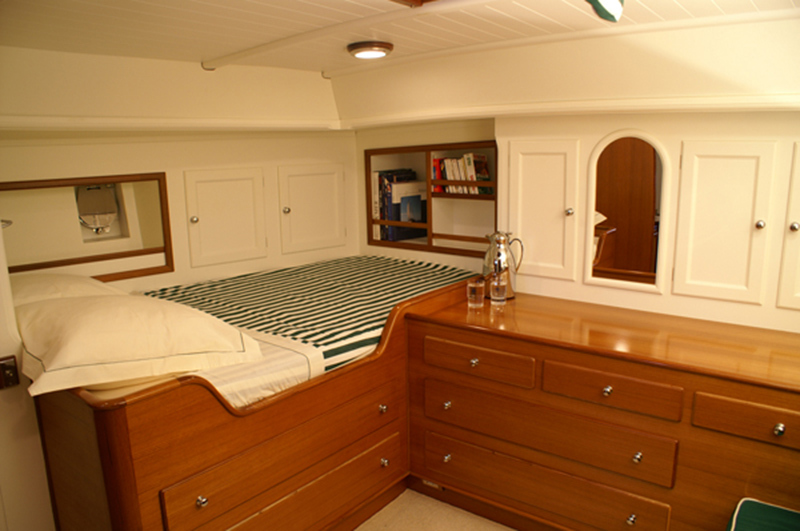 In the engine room there is a 10 KW generator, and a large battery pack - this guarantees a long and peaceful sailing. A Water Maker provides constant fresh water. Even frequent showering does not deplete water supplies. In the salon there is a sound system, TV, DVD. Sailing in Italy, along Elba, Sardinia and Corsica, choose your duration, you have the choice between a day, weekend, or a week. 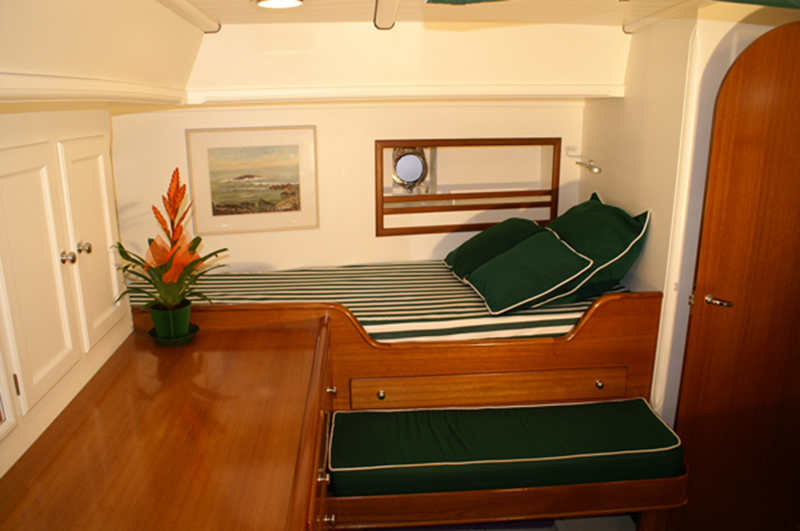 Interested in Classic Yacht Star Sapphire?